My favourite little kitchen tool these days is my cherry stoner – is that what it’s called? Pitter? De-stoner? Anyway, it’s brilliant! You never know with items like this whether they are worth it or just gimmicks. This one is fantastic and has earned its place in the kitchen drawer! Have you got one? 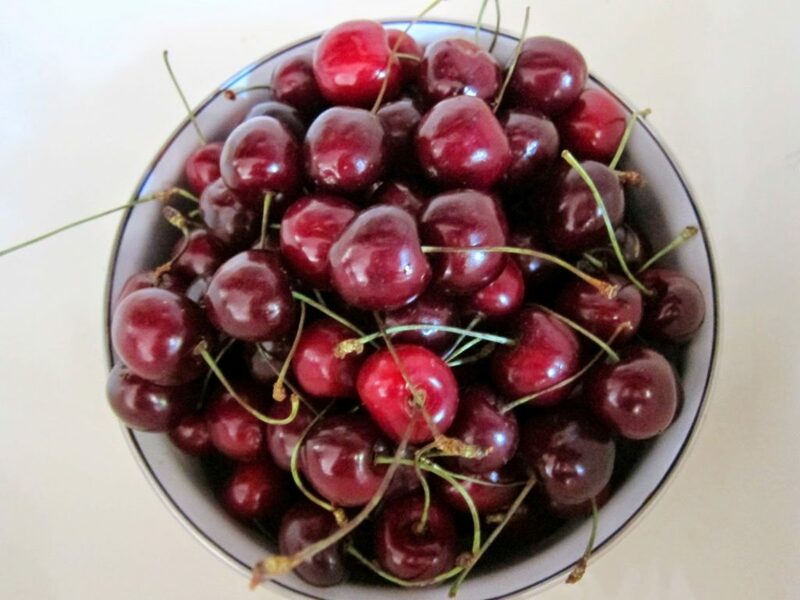 Cherries are still everywhere – look out for the ones from Bayramiç, a place quite near Assos, famed for its cherry orchards. They are huge, dark red in colour and luscious! Having said that, I advise you to pop one in your mouth before buying as a little taste check because the season is ending soon. 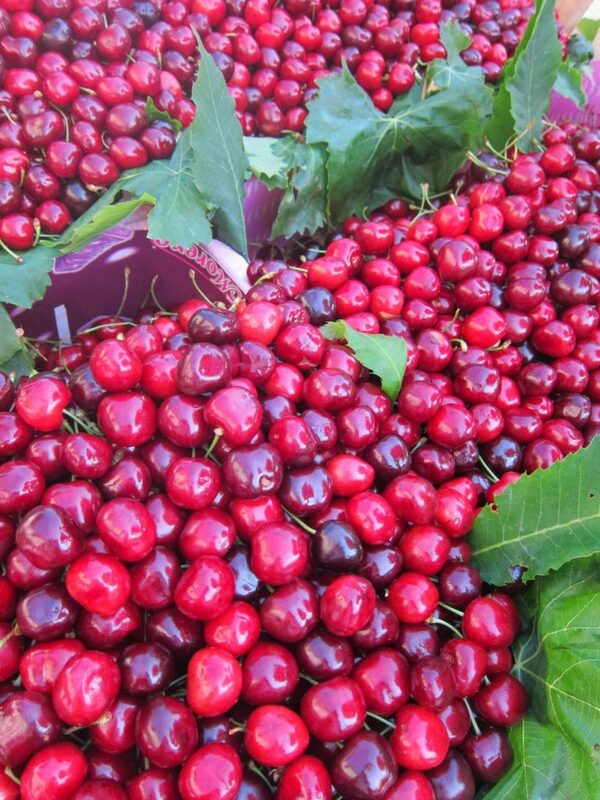 Here in Assos, where we arrived a few days ago, market prices are a joke compared to those in Istanbul: today was the smaller Tuesday pazar in neighbouring Ayvacık (designed to keep you going until the big market on Friday) and a kilo of cherries was 4 TL. In Istanbul I was paying a minimum of 8. 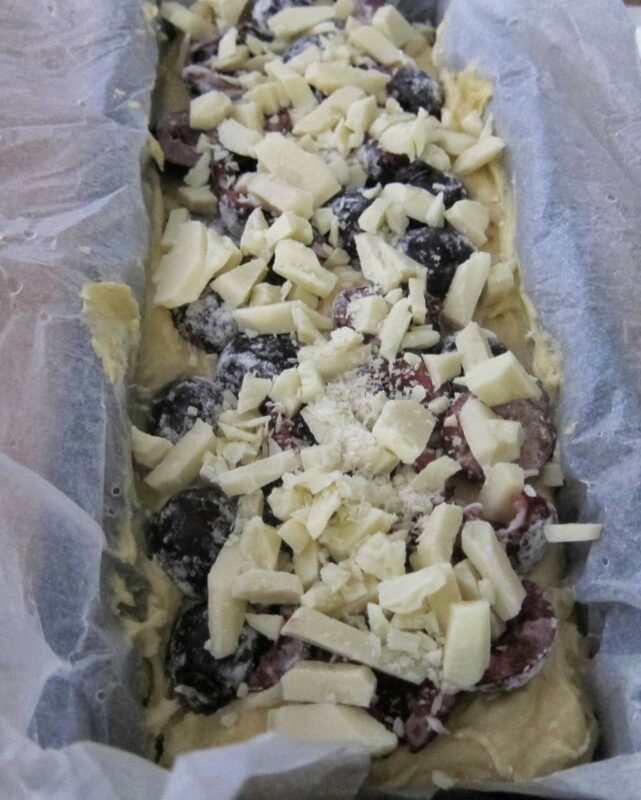 I felt like using these in something sweet, something that wasn’t a tart, so decided to make a cake that I’ve made before from BBC Good Food: White Chocolate & Cherry Loaf. 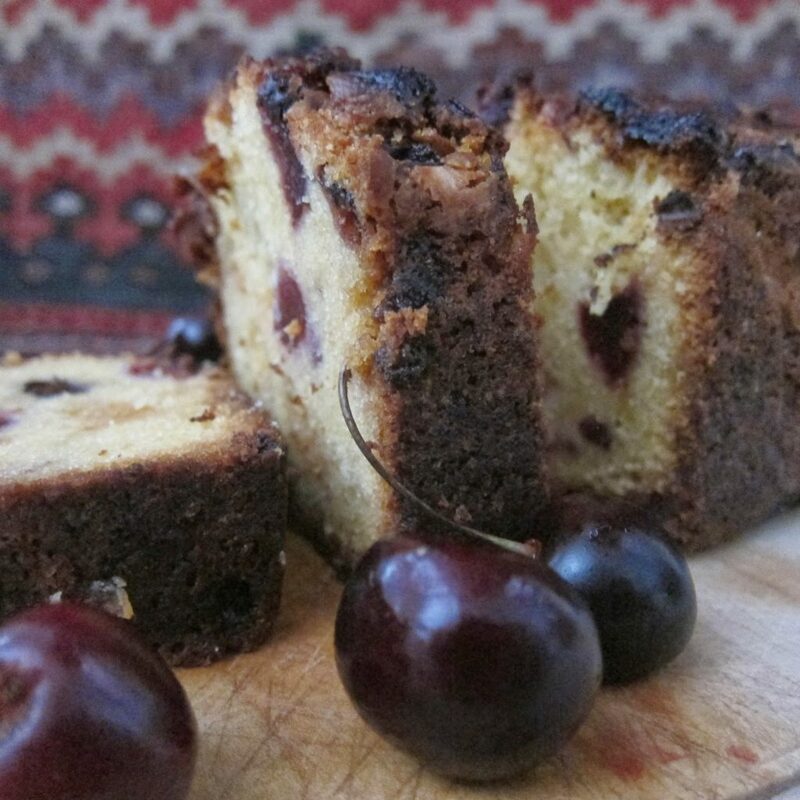 Last time I made it, these Turkish cherries were so huge, they sank to the bottom of the cake. This time, I cannily cut them in half and sure enough, they spread nicely throughout the loaf. I brought the white chocolate with me from Istanbul knowing I probably wouldn’t find it here in the village. The full recipe includes a white chocolate frosting – I didn’t make it as it sounded just too sickly: more chocolate combined with mascarpone and white chocolate curls to boot! So I’m afraid you won’t find the instructions here. The cake is absolutely delicious as it is: moist, full of flavour with the vanilla really coming through and definitely sweet enough! Line a 1 kg loaf tin with baking parchment, making sure paper comes up higher than the sides. 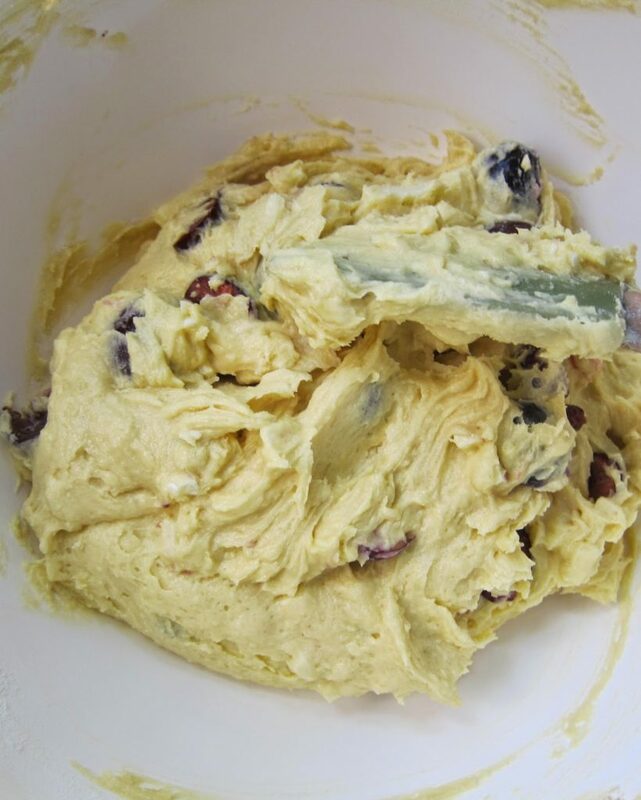 Beat butter and sugar together until fluffy, then add the eggs, a little at a time, along with the vanilla. Fold in the flour until smooth. 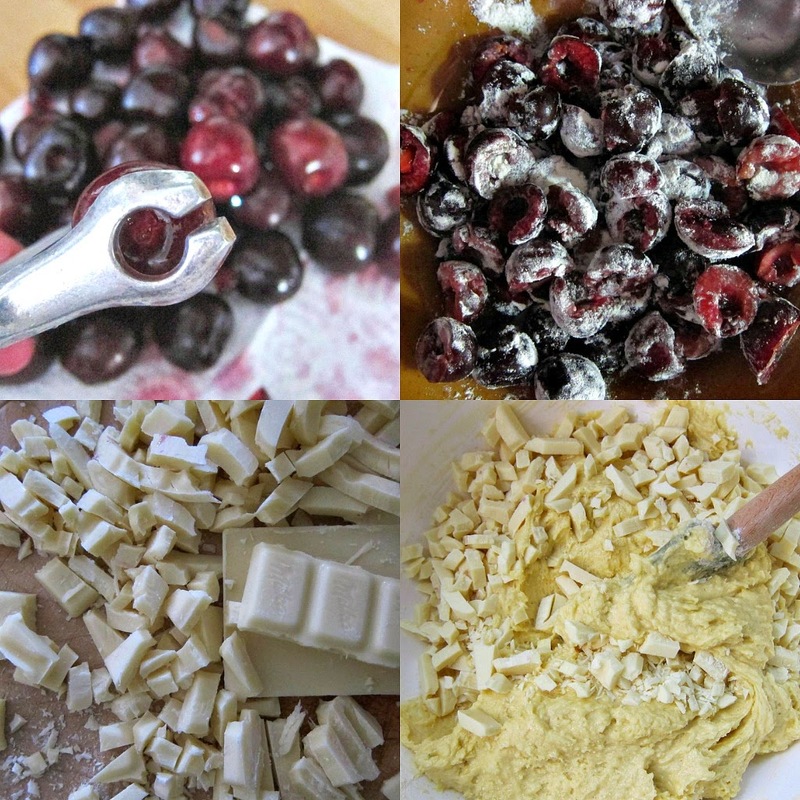 Dust the cherries in flour, then carefully stir half of the fruit and chocolate into the mixture. 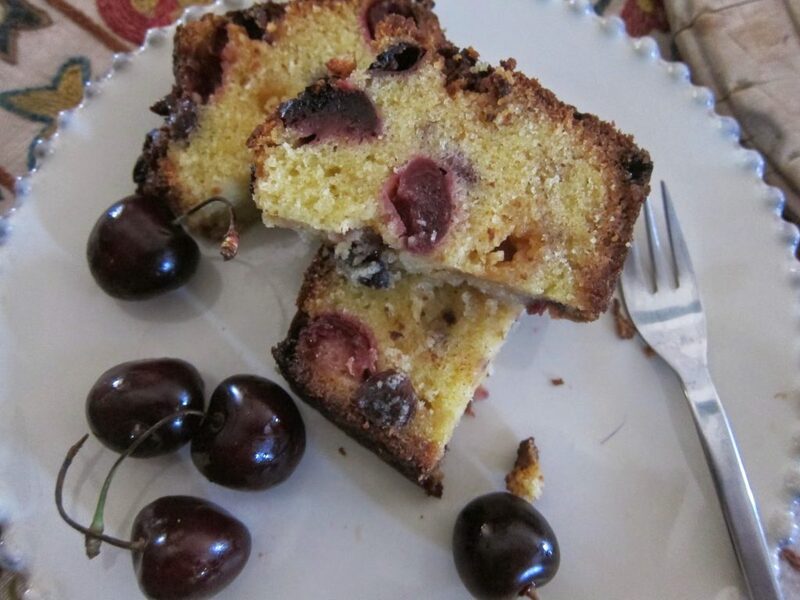 Spoon into the tin, then scatter the remaining cherries and chocolate on top, pressing in lightly. Bake for 1hr 10mins-1hr 15mins until a skewer inserted into the middle comes out clean. Leave to cool in the tin for a few mins, then turn out onto a wire rack and leave to cool. This can now be wrapped tightly in cling film and stored in the fridge for up to 3 days. It’s nice to have something sweet with a glass of çay!